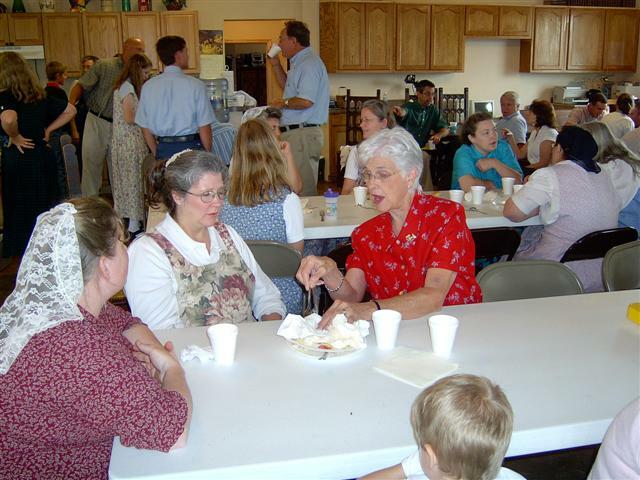 Church services are scheduled to be at Rehoboth Ranch for the months of May and June of 2005. We hope to host church services again in July, unless the Taylors house is ready. Our church acknowledges the inerrancy of Scripture, the fallen nature of man through the sin of Adam, the doctrine of the Trinity, that Salvation is only through Jesus Christ, and that we are saved by the grace of God through faith alone and not by works so that we cannot boast. We also acknowledge that God has purposes for the family and that the church should support and not oppose these purposes. Therefore, entire families are encouraged to worship together, and fathers are encouraged to be leaders in their families and in the church. Click here to view our Statement of Unifying Beliefs (it's a large file, over 1 megabyte). Likewise greet the church that is in their house. ~ Romans 16:5a. 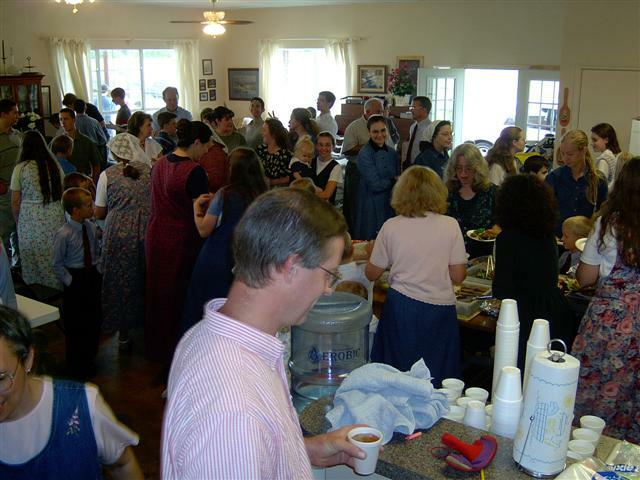 These photographs were taken during a fellowship meal following services at Bethel Barnhouse. For more information, please contact D. Robert Smith at robert@bethelbarnhouse.com. Here is a picture from a baptism Sunday in September of 2003.